Indonesia will be hosting the 2011 SEA Games in Palembang and Jakarta, from 11-22 November 2011. This is a two-yearly multi sport events participated by the ASEAN plus East Timor countries. The 2011 SEA Games participants will compete for 542 gold medals in 44 sports. Please click here for more information. Owl City is one man electronic musical project by singer-songwriter from Minnesota, USA, Adam Young that makes a big hit in worldwide music industry by “Fireflies” single in 2009. And this year, on 28 October, Adam Young will hold his first concert in Indonesia, at Tennis Indoor Senayan Jakarta for his fourth album “All Things Bright and Beautiful" that released in June 2011. So don’t miss it! You can follow @JAVAmusikindo on Twitter for further information. An international legendary musician from Canada, David Foster will hold a big concert on 28 October 2011 at Plenary Hall, Jakarta Convention Centre, along with some of the world class singers, such as Michael Bolton, Charice Pempengco, Philip Bailey, Russel Watson, and many more. This is the second time concert of David Foster in Jakarta and could be as succesfull as the one before that has been held in 2010. Blackrock Entertainment, the promoter of this concert, will provide 3.500 tickets with various classes, from Rp. 900,000 of tribune class till Rp. 6 million of platinum. Tickets can be purchased at Senayan City, Grand Indonesia, Central Park, just a few named of them. For further information, please follow @BlackRock_Ent on Twitter or email: blackrockentertainment2011@gmail.com. Indonesia which is located in three major tectonic plates (Ind-Australian Plate, Eurasian Plate and also Pacific Plate) make this country have a big disaster prone, such as earthquakes, volcanic eruptions, tsunamis, and so on. To anticipate it and develop public’s awareness, The Coordinating Ministry for People Welfare of Republic of Indonesia coordinates with National Agency for Disaster Management will held “Indonesia Disaster Expo & Conference 2011 (IDEC 2011)” on 27-30 October 2011 at Jakarta International Expo, Kemayoran Jakarta. For further information, please click here. This year, Sail Indonesia 2011, will be held on 23 July, starting from Darwin, Australia. The organizer expects some 100 to 120 yachts participating the event, which is planned to finish in Batam/Bintan island on 15 October 2011. 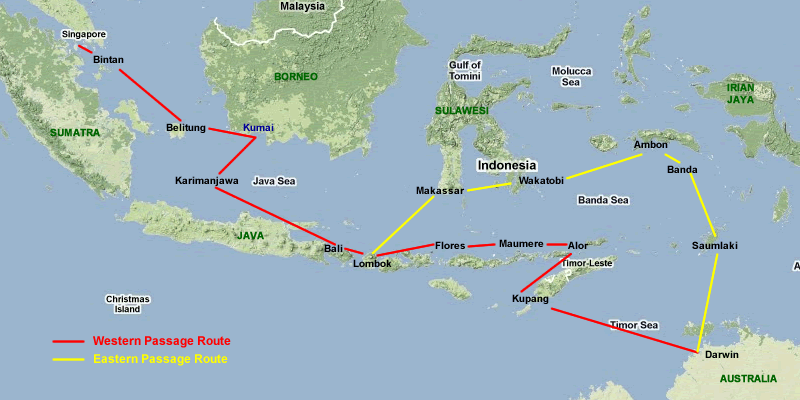 The Sail Indonesia is managed by a non commercial organization that has missions: “to promote Indonesia as a destination for cruising yachts and to introduce sailors to some of the most historic, exciting and interesting sailing destinations across Indonesia and in fact anywhere in the world and to raise awareness of Indonesia as a Marine Tourism Destination”. For further information, please click here. The 2011 "Soul, Hip Hop, R&B and Rap" festival will be held from 23-25 September 2011 in Jakarta at Istora Senayan. This 3-day Java Soulnation Festival will be attended by numbers of foreign and Indonesian performers, such as Sophie Ellis-Bextor, Nelly, LMFAO, Public Enemy, Mathew Sayers, T-Five, Maliq & D'Essentials, and so on. Java Soulnation Festival is directed by Paul Dankmeyer. Click here for more information. Linkin Park is coming to Jakarta this September! They will perform at Stadion Utama GBK, Jakarta on 21 September 2011, from 7pm to 11pm. This is going to be Linkin Park second performance in Jakarta after the 2004 concert. Don't miss their show! Click here for more information.